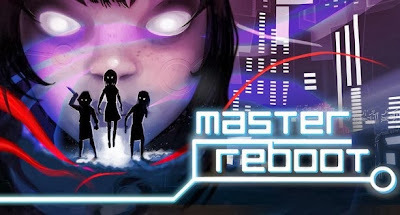 If you had questions and fear in your mind about mortality and keep wishing secretly to remain immortal, play Master Reboot and experience the logical possibilities in its virtual world. Here death doesn’t kill you, but transforms your lifestyle in a different mode of existence. Your soul is stacked up with the help of a software storehouse called the “Soul Cloud”. It is almost like creating your presence there as you do in social media sites. Create a position for your existence in the Soul cloud real estate where you can relinquish your memories since your birth. What more? Your near and dear ones can send you messages through illuminated ducks and share them while keeping in touch with you. But even on virtual grounds things may not seem to appear that rosy. There has to be questions unanswered which keeps the secrecy and mystery of the game equally, if not more than real life. Master Reboot represents a world of imagination which goes really well with the human mental phenomena. The beginning is logically mystic and unknown. You are certainly a survivor after a disaster but your existence poses a very big question in your mind, whether you are alive and exactly where you are and what is your identity right now. You are about to reach your memory store when you’ll be scared by a voice along with a lightened glyph with some unpleasant warnings. Now that you are in a lost world of queries and doubts, you feel the pinch of a state of being which doesn’t have definite boundaries and known circumstance. Since now you would be an eternal being with all these swirling your mind. Master Reboot secretly throws you in front of a row of challenges when you find the memory hub corrupted and you can only view your memories in bits and pieces. Your scoreboard depends upon how cleverly you can unlock the memory storage puzzle and find out the answer to the question, who you are. 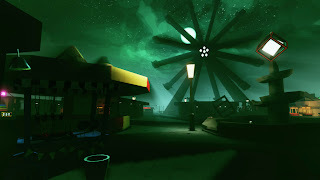 Whether it is your “Childhood Memory” where you find yourself in a toy room, or “Circus Memory” that tells the story of a tragedy in a misty forest beside a brightly decorated circus tent or “Beach Memory” where you walk down with your boyfriend, a face of an unknown girl will keep bothering you in each of them. If you can complete the room while finding answers to the puzzle you will be rewarded with more clues and memories leading you ahead in the game through many more rooms and knowledge about yourself. The privileges that you can earn through your journey are the blue ducks that convey messages from your near ones, old photographs, work sheets, chat logs, newspaper clippings and many more. All will make the dots that you need to join and complete the picture of yourself and reveal your identity. Master Reboot holds on with the suspense with a tune played on violin and you experience the thrill and adventure which is quite unexpected and unpredictable. The Soul Cloud concept does have an impressing effect and the mind-catching audio-visual support is worth mentioning. Except for a very few technical hazards and intensified horror scenes, Master Reboot is a must-play game.